On Monday evening, Borussia Dortmund continued a tradition in place at the club since 1997 by visiting a local hospital in the run-up to Christmas. 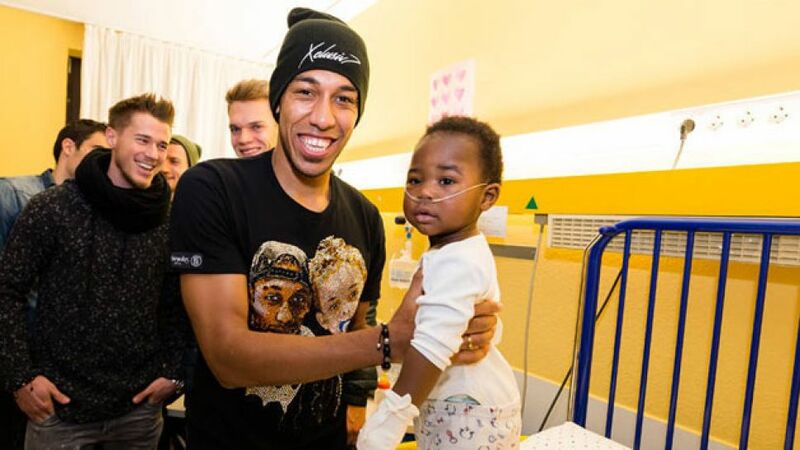 Marco Reus, Shinji Kagawa and Pierre-Emerick Aubameyang and Co. had a ball as visitors to the K41 ward of the Klinikum Dortmund, where children and young people with blood disorders, leukaemia, tumours and diabetes are treated. Separated into groups, the players moved from room to room, chatting to patients and their families, whilst also posing for photographs and signing autographs. “It’s a few minutes out of our day, but the joy on the kids’ faces lasts a lot longer,” said captain Mats Hummels. Anna, a 16-year-old leukaemia patient, was delighted with a visit by her idols. “It’s a great change from the norm,” she said. “I’ve been looking forward to this all afternoon”, before she and her siblings and mother had their pictures taken with striker Adrian Ramos and midfielder Julian Weigl. Head coach also Thomas Tuchel took time to speak to the children in the ward, while signed balls, scarves and tee shirts were handed out and club mascot Emma gave each of the patients a warm hug. Henrikh Mkhitaryan also spoke to two children from his native Armenia. During Advent, bundesliga.com is running a competition with over 240 fantastic prizes including signed shirts and memorabilia are up for grabs. Click here for our Advent calendar.